The 12-Series Lead Ion-Selective Electrode (ISE) is a premium laboratory or field electrode offering excellent performance and longevity in many water applications. Specifications: Sensor Type: Solid State Range: 0.2-20,700 ppm Sample pH Range: 4-7 Slope: 26 ± 3 mV/ decade Interferences: Hg2+, Ag+, Cu2+ must be absent. High levels of Fe2+, Cd2+ interfere Features: Refillable reference, replaceable sensor modules and standard 12mm diameter and 1.. 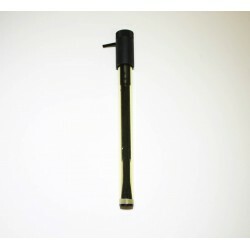 The 35-Series Ammonia (NH3) Ion-Selective Electrode (ISE) is a general purpose, laboratory or field electrode offering convenient replaceable membrane modules and excellent performance Specifications: Sensor Type: Gas-Sensing - glass pH with gas-permeable membrane Range: 0.01-17,000 ppm (as NH3) Sample pH Range: >11 (required by addition of ISA) Slope: 56 ± 3 mV/ decade Interferences: volatile amines (gaseous) Features: Gas-sensing technology .. 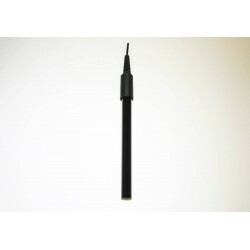 The Multiparameter Electrode is a sonde housing for up to 3 replaceable sensors and up to 3 fixed sensors. 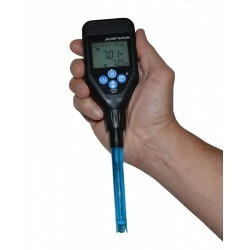 It can be connected to a lab/field meter, or other sensor controller technology to provide up to 6 data inputs. It can be customized to your needs, as well as which sensors are available as either cartridges - for sensors that are commonly replaced, like pH, ORP, DO (membranes) or ISEs; or, fixed installations - for sensors that are long-liv.. 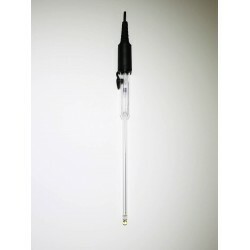 The 35-Series Carbon Dioxide (CO2) Ion-Selective Electrode (ISE) is a general purpose, laboratory or field electrode offering convenient replaceable membrane modules and excellent performance Features: Gas-sensing technology in a standard 12mm diameter and 120mm length Specifications: Sensor Type: Gas-Sensing - glass pH with gas-permeable membrane Range: 4.4-440 ppm Sample pH Range: 4.8-5.2 Slope: 55 ± 3 mV/ decade Interferences: volatile weak .. The 43-Series Bromide Ion-Selective Electrode (ISE) is a general purpose, laboratory or field electrode offering affordable, low maintenance Bromide analysis performance for many water applications. Specifications: Sensor Type: Solid State Range: 0.2-79,900 ppm Sample pH Range: 4-10 Slope: 57 ± 3 mV/ decade Interferences: I-, Cl-, S2-, CN-, NH3 Features: ABS plastic body with standard 12mm diameter and 120mm length Sealed, gel-filled double-ju.. The 44-Series Bromide Ion-Selective Electrode (ISE) is a general purpose, laboratory or field electrode offering affordable, refillable Bromide analysis performance for many water applications. 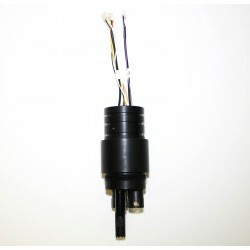 Specifications: Sensor Type: Solid State Range: 0.2-79,900 ppm Sample pH Range: 4-10 Slope: 57 ± 3 mV/ decade Interferences: I-, Cl-, S2-, CN-, NH3 Features: Refillable and standard 12mm diameter and 120mm length The refillable, double-junction referenc.. The 03-Series Bromide Ion-Selective Electrode (ISE) is a general purpose, laboratory electrode offering affordable, refillable Bromide analysis performance for many water applications. 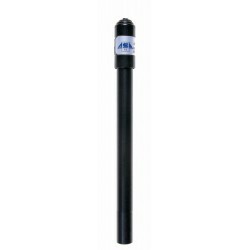 Specifications: Sensor Type: Solid State Range: 0.2-79,900 ppm Sample pH Range: 4-10 Slope: 57 ± 3 mV/ decade Interferences: I-, Cl-, S2-, CN-, NH3 Features: Refillable and flushable reference in standard 12mm diameter and 120mm length The flushable, double-junc.. The 12-Series Bromide Ion-Selective Electrode (ISE) is a premium laboratory or field electrode offering excellent performance and longevity in many water applications. Specifications: Sensor Type: Solid State Range: 0.2-79,900 ppm Sample pH Range: 4-10 Slope: 57 ± 3 mV/ decade Interferences: I-, Cl-, S2-, CN-, NH3 Features: Refillable reference, replaceable sensor modules and standard 12mm diameter and 120mm length The refillable, double-junct.. The 43-Series Cadmium Ion-Selective Electrode (ISE) is a general purpose, laboratory or field electrode offering affordable, low maintenance Cadmium analysis performance for many water applications. Specifications: Sensor Type: Solid State Range: 0.01-11,200 ppm Sample pH Range: 2-8 Slope: 26 ± 3 mV/ decade Interferences: Hg2+, Ag+, Cu2+ must be absent. High levels of Pb2+, Fe2+ interfere Features: ABS plastic body with standard 12mm diameter a.. The 44-Series Cadmium Ion-Selective Electrode (ISE) is a general purpose, laboratory or field electrode offering affordable, refillable Cadmium analysis performance for many water applications. Specifications: Sensor Type: Solid State Range: 0.01-11,200 ppm Sample pH Range: 2-8 Slope: 26 ± 3 mV/ decade Interferences: Hg2+, Ag+, Cu2+ must be absent. 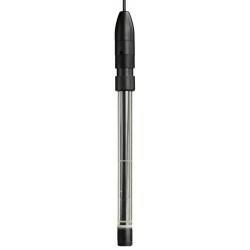 High levels of Pb2+, Fe2+ interfere Features: Refillable and standard 12mm diameter and 120mm len.. The 03-Series Cadmium Ion-Selective Electrode (ISE) is a general purpose, laboratory electrode offering affordable, refillable Cadmium analysis performance for many water applications. Specifications: Sensor Type: Solid State Range: 0.01-11,200 ppm Sample pH Range: 2-8 Slope: 26 ± 3 mV/ decade Interferences: Hg2+, Ag+, Cu2+ must be absent. High levels of Pb2+, Fe2+ interfere Features: Refillable and flushable reference in standard 12mm diameter.. The 12-Series Cadmium Ion-Selective Electrode (ISE) is a premium laboratory or field electrode offering excellent performance and longevity in many water applications. Specifications: Sensor Type: Solid State Range: 0.01-11,200 ppm Sample pH Range: 2-8 Slope: 26 ± 3 mV/ decade Interferences: Hg2+, Ag+, Cu2+ must be absent. High levels of Pb2+, Fe2+ interfere Features: Refillable reference, replaceable sensor modules and standard 12mm diameter a..